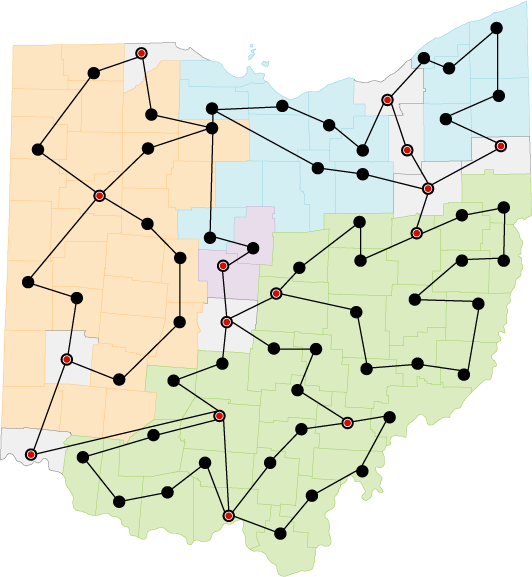 Ohio Middle Mile Consortium (OMMC) partners Com Net, Inc., Horizon Telcom, OneCommunity and OARnet formed a public-private partnership to create a comprehensive statewide plan to expand broadband infrastructure to the underserved and unserved areas of the state. This plan focused on community anchor institutions such as schools, hospitals, public safety and local governments to ensure the development of an affordable and sustainable broadband program. OMMC member organizations collaborated to provide Ohioans with statewide IP, ethernet and fiber wavelength broadband services. Through American Recovery and Reinvestment Act projects, Horizon Telcom, Com Net Inc., and OneCommunity netted Ohio $200 million in federal, state and private investment. OARnet was a sub-recipient in the grants of the three companies.